I am a stay-at-home mom to four lovely and lively children – ages 10, 8 and 5 year-old twins. My husband and I live in Ottawa, Canada. We have rented our house, bought a catamaran, and plan live aboard and home school for 5 or 6 years, possibly to circumnavigate. This blog documents my personal growth from complete sailing newbie, to capable cruiser. I want to have enough medical, and blue water experience and training to charter a boat, and sail it on my own. My husband will be sailing with our family, but I want to have skills to be in equal partnership, not just because I’m a nice wife, but because I value safety and adventure. I will also be describing my experience with home schooling. We will be leaving the public school system, and we’ve never home schooled before. The best way to reach me is to leave me a comment, and I will contact you by email. 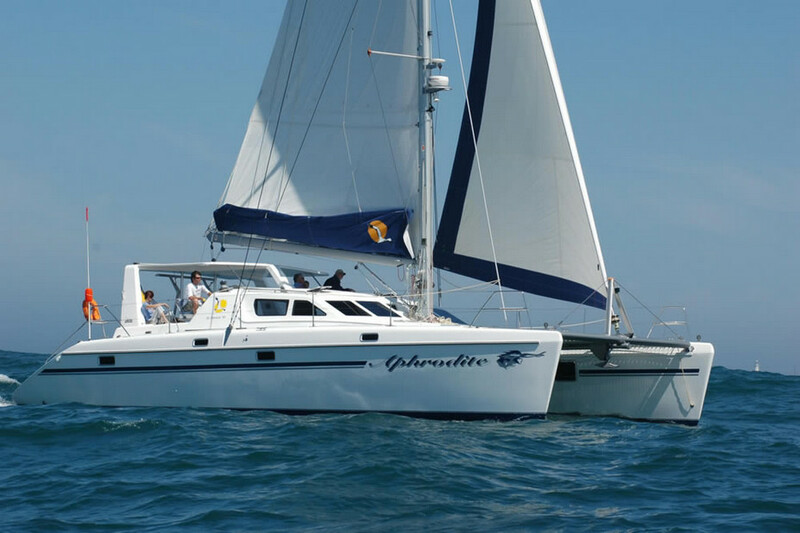 We recently bought SV Aphrodite, a St Francis 50 catamaran. A review of our boat appears in the May/June 2005 issue of Multihulls magazine. Hey there – I just saw your comment on Sailing Britican. We’re a a fulltime RVing family in the USA and started http://topfamilytravelblogs.com as a way of following all the other families doing some sort of fulltime travel. We have other RV families, sailing families, suitcase travelers, and families on bikes and motorcycles. We’ve added your blog as a source – so hope to send some traffic your way. Good luck on the transition! You’re a beautiful family and we are so grateful to have met you. Hopefully our catamarans will cross paths soon again.